Picture your childhood school bus… Seriously, close your eyes and try to reminisce on that large yellow tin can that picked you up at a ridiculously early hour every morning. A large Bluebird brand bus with rows of tiny uncomfortable seats, narrow windows and seemingly no shocks whatsoever so every little bump in the road is absorbed by your personal human seat cushions. When these buses are no longer fit for operation in the USA where do they go? Panama….. Shipped by the hundreds these buses are used for public transportation as well as another unbelievable phenomenon known as Chivas Parties!! So let my words paint a picture of the lunacy that is a Panamanian Chivas Party. Bring up the image of the Bluebird school bus in your head once again, but this time let’s modify it slightly. First let’s remove all the seats and paint the exterior with ridiculous, religious-style graffiti paintings of Jesus and other religious symbols. 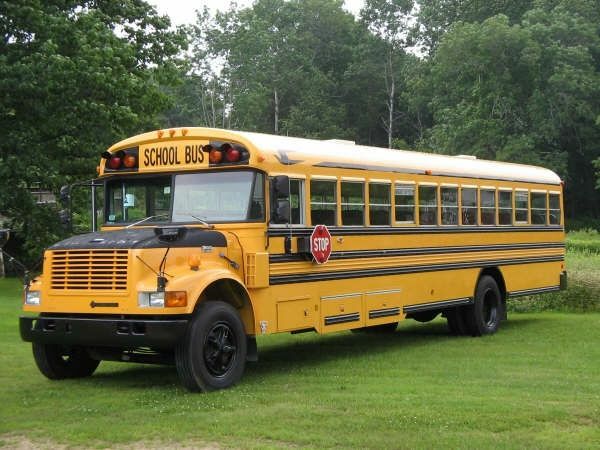 Next, equip the bus with a thwomping sound system and a DJ at the rear where the cool kids used to sit. Rows of rope lights and black lights stream down the interior with a fully stocked bar and stripper poles are strategically dispersed throughout the bus. Now let’s pack 40+ young, alcohol fueled twentysomething year olds on the bus, blast some ear shattering reggaeton and drive around the city. This is a Chivas Party…. My first Chivas Party invitation came from my Panamanian roommate. Through a string of “friend of a friends” we somehow ended up on a Chivas Bus for some random dudes birthday. When the bus pulled up I noted the massive crowd outside the bus and thought to myself that there is NO way this entire group of people is all going on one bus. To my horror and bewilderment as we shuffled onto this surreal bus people just kept getting on until everyone was quite literally pressed up against each other like sardines in a tin can. Sweating profusely do to the menacing humidity and overwhelmingly high temperature of the bus from so much body heat, I expected the worst and began to think this might possibly be one of the worst party experiences I could ever imagine. As the bus started slowly driving away and I slowly made my way through the sweaty mess of bodies to the bar I couldn’t believe that I actually paid to subject myself to this level of discomfort. However, as time passed and Panamanian Rum found its way into my belly everything began to loosen up a bit. The repetitive bump of the reggaeton started to sound good and everyone began to dance together. The bus is so packed that if one person is dancing the others around them are forced to follow stride, so eventually you find yourself sharing sweat with random strangers. 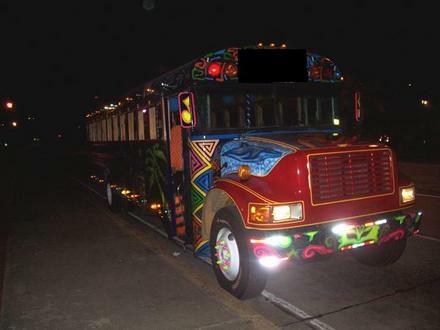 As your liquid courage kicks in and your dancing skills begin to improve you find yourself wedged between two Latina Chicas grinding and wondering if this was the exact bus you took to school every day when you were a kid…. 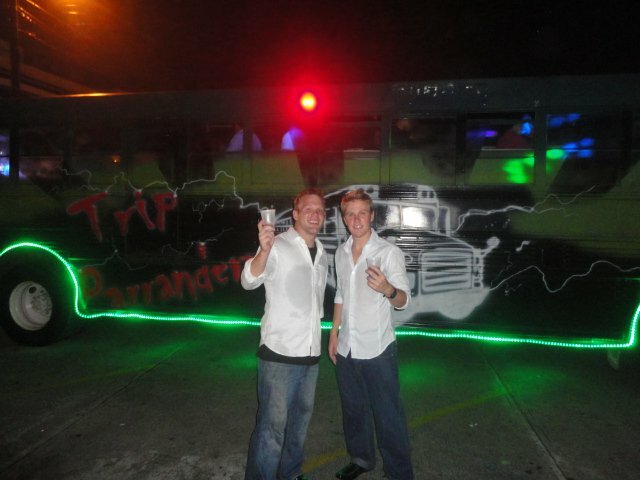 This entry was posted in Panama and tagged Adventure, Chivas Party, Panama Chivas, Panama Night Life, Panama Party, Panama School Bus Party, Party, Travel by verenico. Bookmark the permalink. Thankfully, I used to walk to school, but I always missed those school bus stories. Love your writing style!